So you’re not a Fortune 500 company, but you’d still like to experience some of the perks of top office spaces. 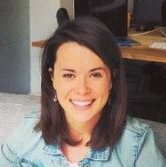 The workplace is not what it was 20 years ago. These days we expect more than a desk and a hat rack. Firms are paying heed to the current trends in office space design, because it’s one good way to attract and retain top talent. Want to capture the benefits of these trends without the risk of signing the lease? Try office sharing. We’ll point you to some PivotDesk host companies that are already embracing the concepts. Here are 5 top trends in workplace design—things that people look for and are coming to expect in an office—and where to find them. 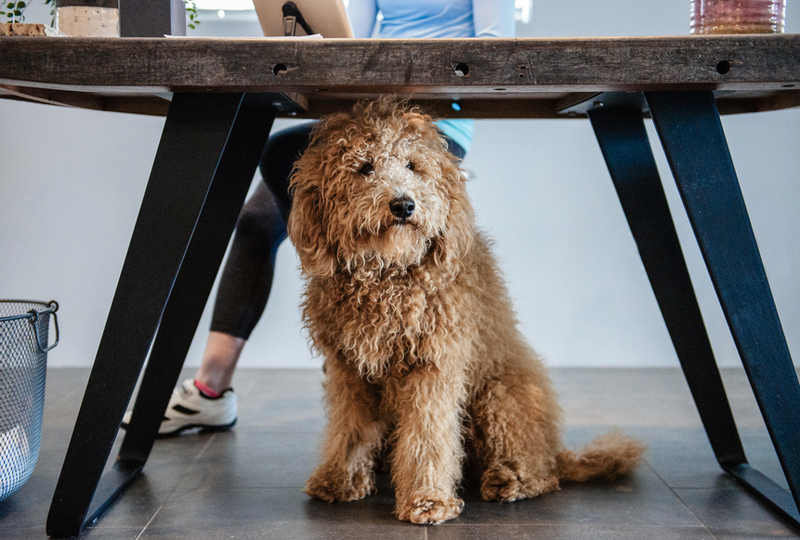 The modern workplace thrives on collaboration and flexibility. Spaces designed to accommodate all of the different activities that might make up your day are a major trend. 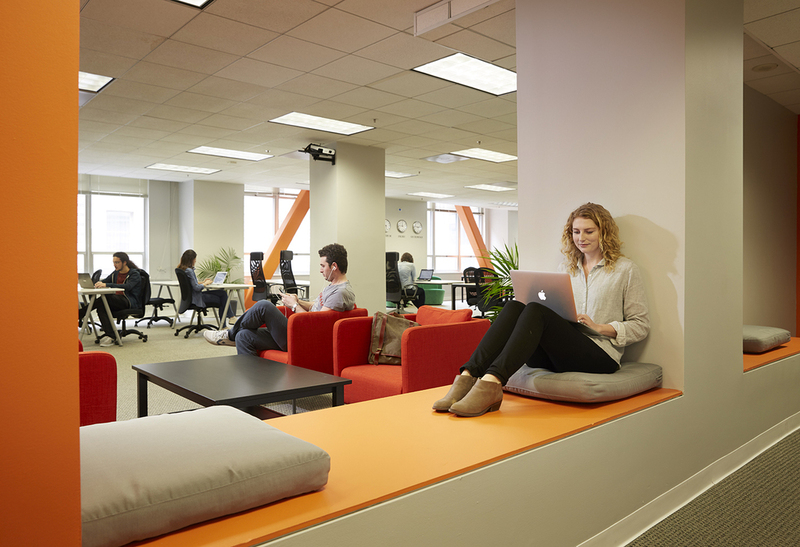 Rather than being tied to a desk, people can move to spaces that are designed for specific tasks. With mobile technology and WiFi, it’s really not necessary to work all day in the same spot, and many people find that it’s actually healthier and more productive to have a change of scene. This trend also appears to be reducing the amount of space we need, since it’s less common for rooms to sit unused with this type of design. 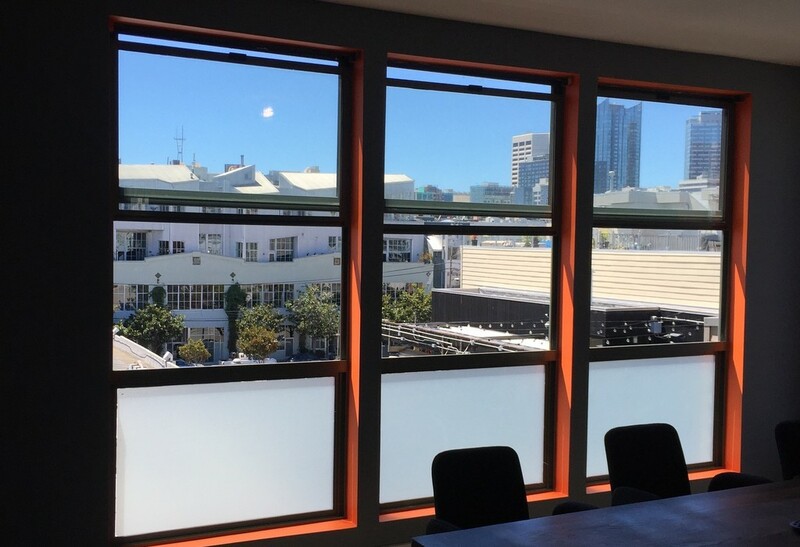 Work in a sunny, open seating coworking environment in the heart of of San Francisco at 625 Market Street. 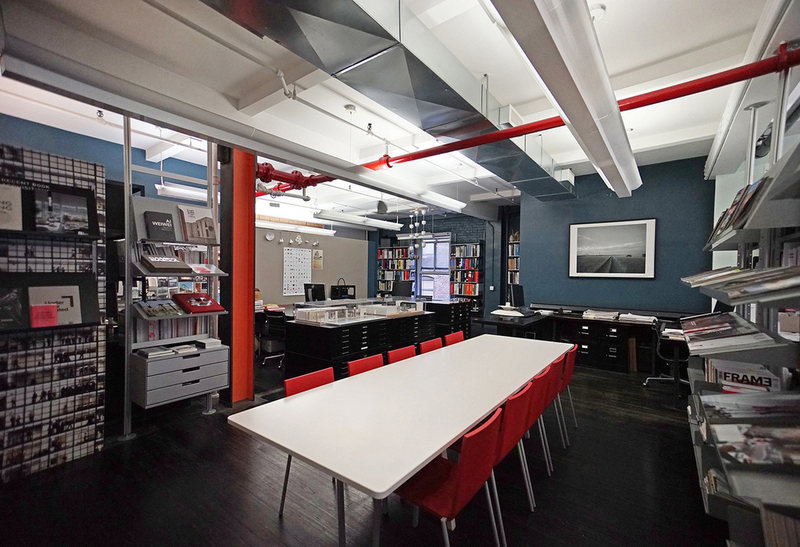 This fully-stocked startup office features access to all that the Flatiron has to offer. It’s not unusual now for an office space to have features that make coming to work more fun. 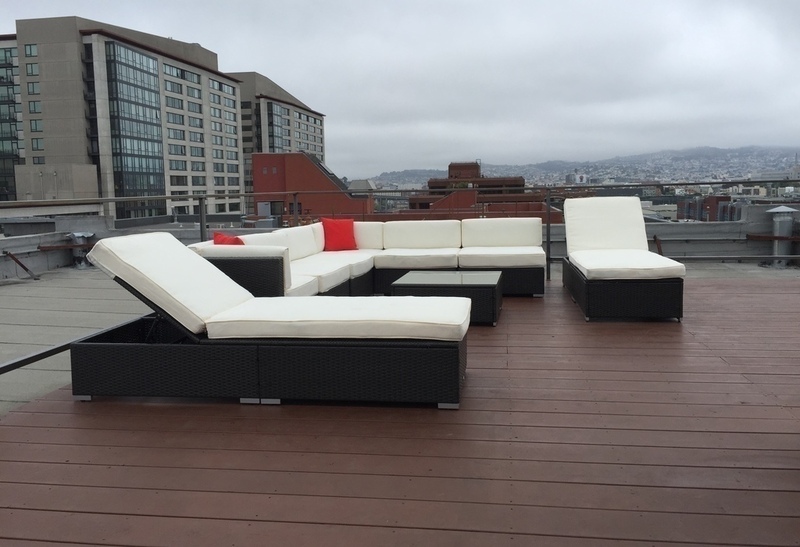 Amenities like comfortable lounges, coffee bars, and outdoor space are a big draw. 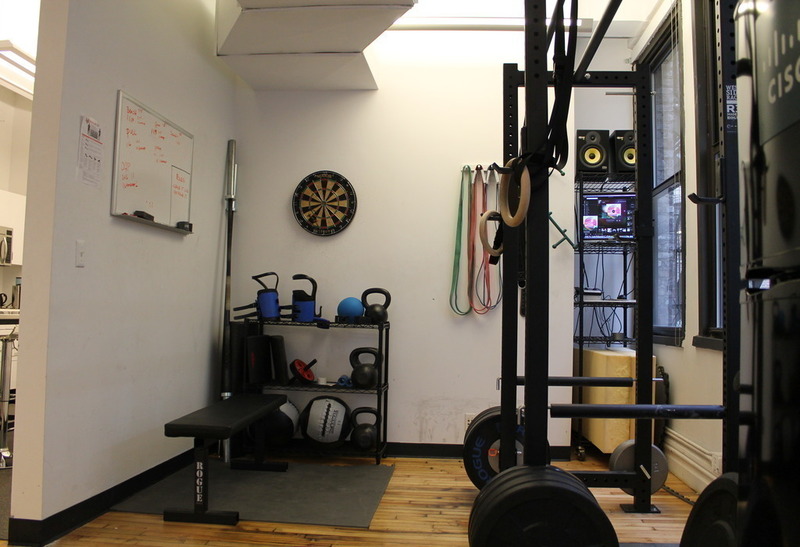 Some buildings offer onsite daycare and fitness facilities –even game rooms. Guests at this Chelsea host may never need to leave the office with its full gym, shower and espresso maker. This team believes the old world of deeply hierarchical, command-and-control organizational structures is slowly fading, making room for agile organizations where each employee gets to express themselves…and what better place to express yourself than a massive roof deck? The age of the cubicle is for the most part, behind us. Most of us aren’t too sorry to see it go, because what we’ve gotten in exchange is a variety of trendy, design-forward spaces where a work space is intended to be so much more than 4 walls and a few desks. Companies know that employees WANT to be proud of their offices and are employing the help of designers and architects to build noteworthy spaces. 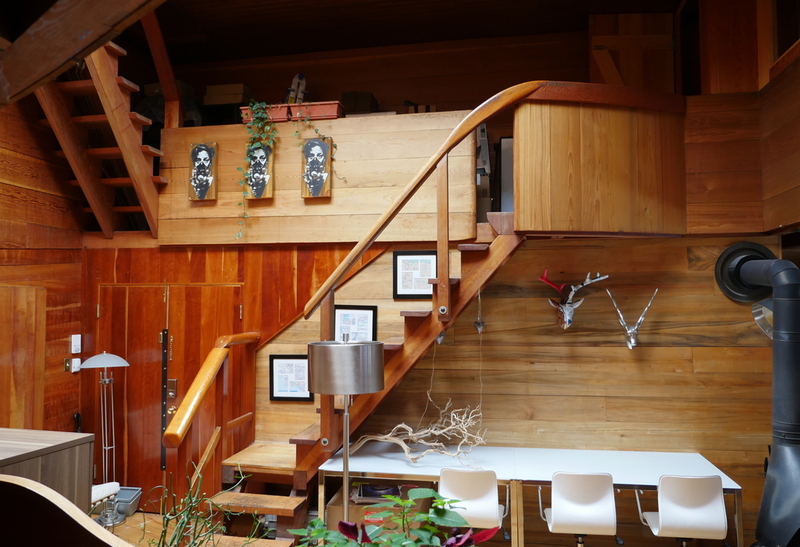 The unique 2-story space has the rustic feel of a log cabin, with modern adornments, making the office an oasis in the middle of the the financial district. Never thought you’d think of your office as an oasis? Think again. This host knows good architecture, in fact that’s what they do. 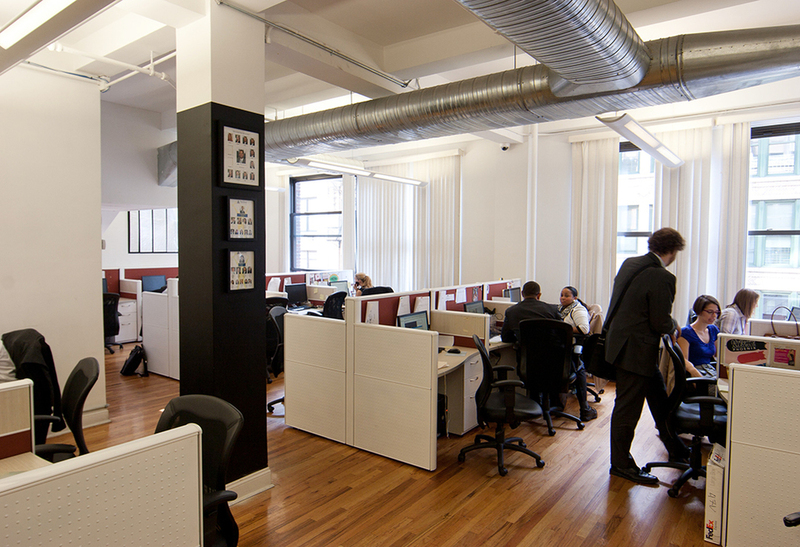 This firm focuses on interior design and it shows in its carefully crafted office decor. A pedestrian-friendly area is a very desirable feature for the workplace. People appreciate the health benefits of getting outside, and being able to walk to restaurants and shops cuts out the stress of parking and dealing with traffic. More people want the live/work/play lifestyle that comes with a walkable urban neighborhood. This fun-loving company loves sharing access to the best SoMa has to offer: bars, entertainment and restaurants within walking distance. This Chelsea host offers easy access to Washington Square Park, Eataly and more. Dare we say it? Going to work may just become your favorite part of the day. 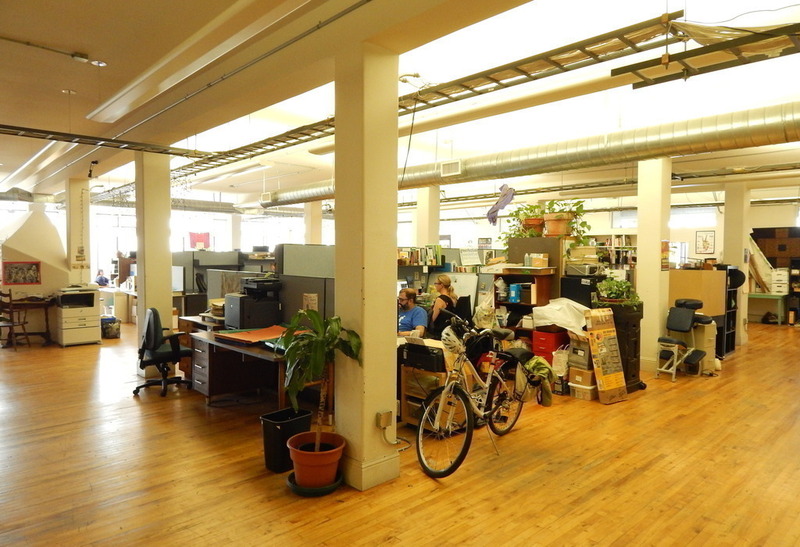 Green building practices save energy and create a healthier work environment. Many of your employees want to do what they can to conserve energy, and they feel good about working in a sustainable environment. Things like energy efficient lighting, smart climate control systems and a recycling program are part of top modern office spaces. 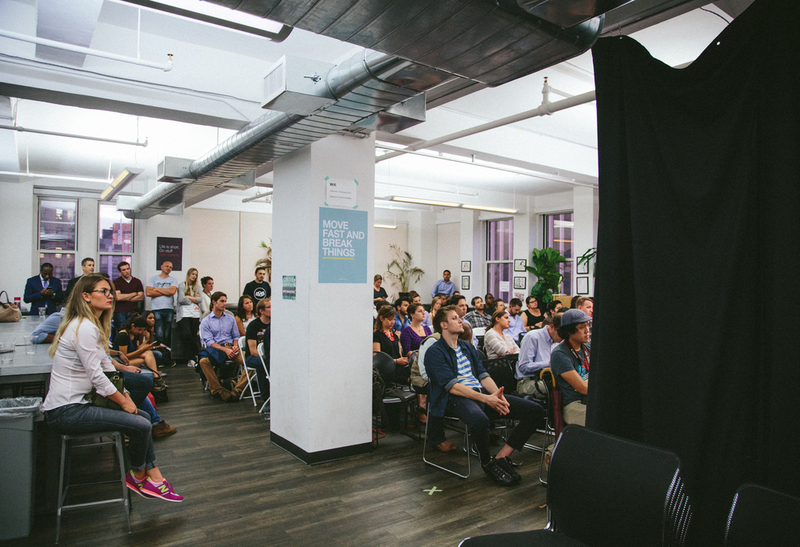 The Techstars “give first” attitude applies to all this host does, from its careful consideration for guest companies to its robust recycling program. The inhabitants of this plant-filled office practice good in everything they do as they strive to build sustainable, equitable access to the city’s transit-oriented development. 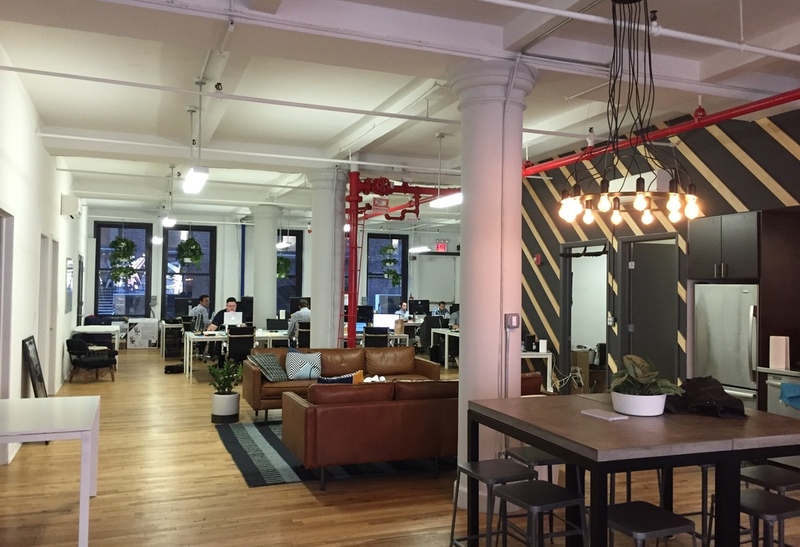 Growing companies need to be able to attract top talent, but it can be hard to afford a space that has the great features that trendy office spaces do. Office sharing can be a great solution to this dilemma. In this case, you’re sharing space with an established firm that’s handling the lease. You can enjoy the best features of modern office space now in an office-sharing arrangement. Meanwhile, you can invest the money you save in hiring excellent people, who will be glad to come to work in your trendy, amenity-rich office. Want to learn more? Visit the site or click here to get started.